The funny thing about humility is that the moment you think you have it, you’ve lost it. In my new job in the Admissions Office humility is hard to come by. I spend most of my day explaining to perspective students and their families what makes La Salle the best high school and middle school in Rhode Island. This, of course, is not particularly difficult for me, as I truly believe we are. Do we have the most beautiful campus and facilities? I believe we do. Is our faculty and staff the most dynamic and caring? I think they are. Do we have the most talented and spirited student body? Yes, I believe we do. So to avoid the sound of arrogance and assume the perspective of humility, I am always sure to qualify that what makes us the best at so many things is ultimately a blessing from God. It is not by luck or by one person’s individual design that we are such a stand out school. 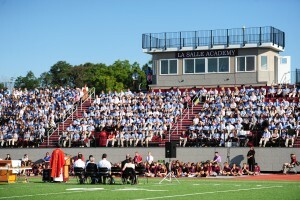 It is all of us, the entire community that forms the greatness that is La Salle Academy. The Bible says do nothing from conceit, but in humility count others more significant than yourselves. Let each of you look not only to his own interests, but also to the interests of others. Have this mind among yourselves, which is yours in Christ Jesus, who, though he was in the form of God, did not count equality with God a thing to be grasped, but made himself nothing, taking the form of a servant, being born in the likeness of men…. You see, humility doesn’t have to be difficult and it doesn’t mean denying your talents or gifts. 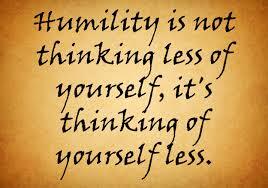 Humility is easily achieved so long as you are always aware of sharing that which makes you excellent with others. When you score a touch down or a goal, it isn’t just yours. It belongs to your team, your coach, to the Beehive. 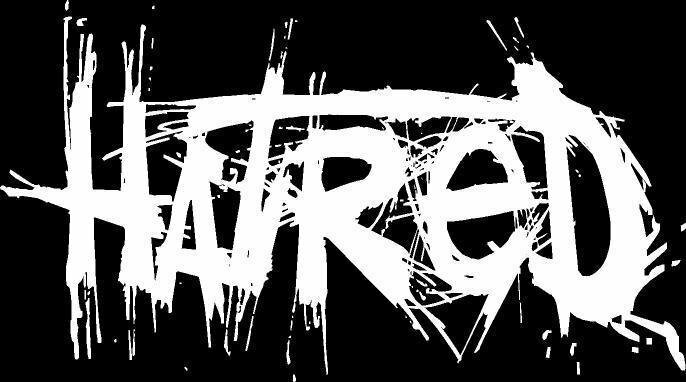 When you hear the roar of applause at the end of a show, the accolade is not yours alone. 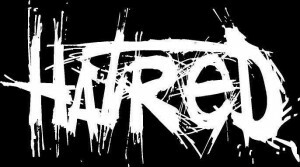 It is shared by the chorus, crew, musicians, and the directors. The success you have in the classroom is not exclusively yours, but the results of a partnership with your classmates, teachers and parents. 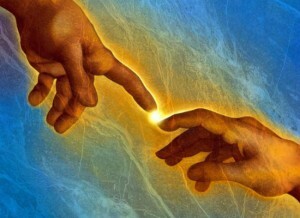 And all of this cannot be done without our relationship with God, through whom all good things come. Because humility is funny, just when you think you alone have it, you’ve lost it. But when you know that you are part of something wonderful because it is shared by others and God, you can certainly be assured that it is indeed something special. Let us pray: Dear Lord, everything I am today is a gift I humbly accept from you and share with the community here at La Salle. Everything I can be tomorrow is a gift I humbly achieve for myself to give to my friends, family, and to you. I personally am not looking forward to this weekend. Halloween has never been one of my favorite holidays. I am easy to scare, I usually end up eating too much candy and get a stomach ache, and I’ve never really been fond of the color orange. The only redeeming aspect of Halloween is that it can be fun to dress up in a costume. 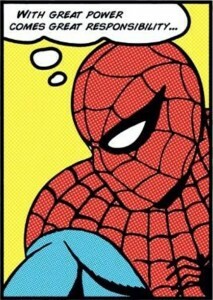 But as I’ve gotten older, my desire to put the time and effort into finding or making a costume has been diminishing. 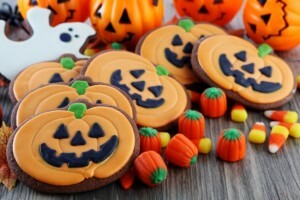 Even though Halloween is not a holiday that I enjoy, I can understand why other people like it. Maybe they get a thrill out of spooky decorations, or they have more self-control around candy and can enjoy it without over-indulging, and maybe they have more creativity than I do and they can come up with a creative costume. So if you fall into this category, I will try not to rain on your parade and allow you to enjoy the upcoming holiday. But regardless of your own personal feelings toward Halloween, I would caution that you do not allow the traditions of Halloween to creep into your daily life. What I mean by that is to make sure that wearing a mask or costume is not something you do on a normal basis. I do not mean this in a literal way but rather figuratively. Do we pretend to be someone that we are not so that we fit in better with our peers? Do you feel like you are wearing a mask that covers your true personality so that others will like you better? These are all easy habits to fall into because of the societal pressures that surround us on a daily basis. God gave all of us unique physical features and personalities and we need to learn to embrace them rather than mask them. Wearing a costume for a festive holiday occasion can be fun, but our everyday costume should the one given to us by God. Loving God, please keep us safe this weekend as we enjoy various Halloween festivities. And please help us to remember that dressing up for the Halloween holiday can be fun and exciting… but wearing a costume or mask is not something we should do on daily basis. We should not feel the need to be someone else since we were all created in Your image and likeness. Amen. 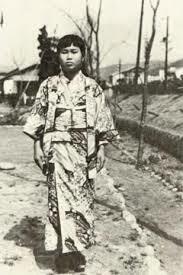 In the post-war Japan, Sadako’s family overcame turmoil and shortages in order to slowly reconstruct their lives. Her father re-opened his barbershop. And little by little, their lives returned to normal. Sadako grew up healthy and entered Elementary School. Sadako was one of the top students in her class and the fastest runner in her grade. When she was 10 years old, Sadako developed a cold that would not go away. It was determined that she had developed leukemia. Over the course of her stay in the hospital, Sadako began folding paper cranes. After 8 months in the hospital Sadako died surrounded by her family. 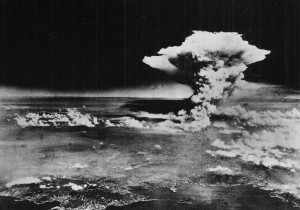 News of Sadako’s story began to make national headlines. 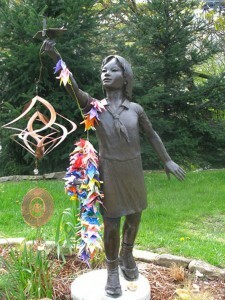 Sadako’s story and her paper cranes became an international symbol for the Children’s Peace Movement. 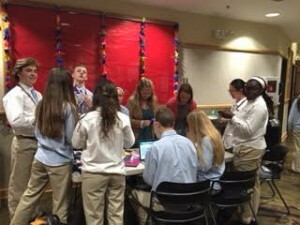 Students from around the word have been constructing paper cranes over the past 60 years. One thousand paper cranes hung together have come to symbolize a wish for peace, hope and health. Following September 11th , thousands of cranes constructed by Japanese students began to appear on the fences around Ground Zero. This past summer I traveled to Japan with the paper cranes folded by our La Salle community and placed them at the Hiroshima Children Peace Memorial. Across the park from the remains of twisted steel and cement, which mark the buildings destroyed by the atomic bomb, stands a statue of Sadako. Sadako’s statue is surrounded by thousands of paper cranes folded by school children from around the world. The fragile paper cranes show us that the hope for peace outweighs the destruction of the past. How Would Our Video Look? 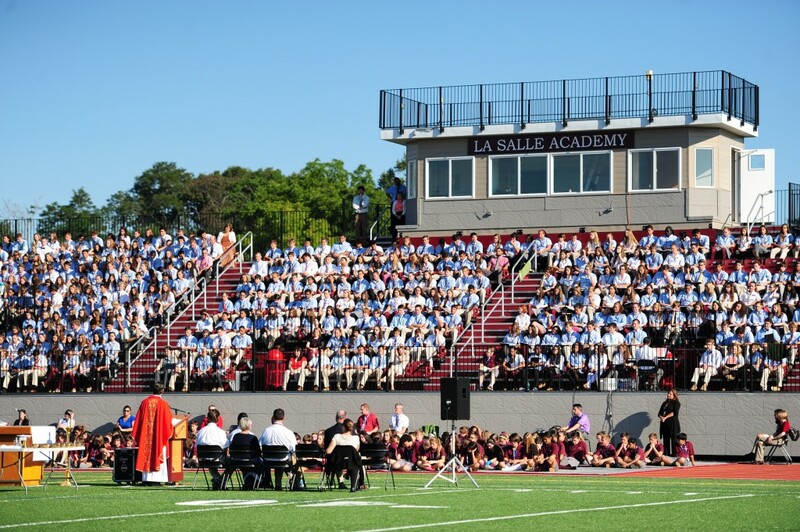 Yesterday we had a large gathering for our Open House—people young and old trying to discover more about La Salle Academy. 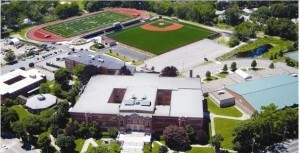 What we have discovered during our time here is that we at La Salle Academy are part of a great Lasallian Family. This morning’s prayer is our chance to discover something new about our Lasallian brothers and sisters in South India. Brother James Kimpton (whom you will meet in the video) is a 90 year old Brother from Great Britain who in 1964 (51 years ago when he was 39) was missioned to Madurai, India, where he built Boys’ Town (a trade school for poor boys). In subsequent years he started Boys’ Village for younger poor boys and Reaching the Unreached Society to address the needs of rural villages subject to abject poverty.This video you will soon view describes the current work of Reaching the Unreached—providing education for boys and girls, serving the needs of HIV children, and offering technical development skills to villages. As we view this, let’s ask ourselves how we make the Lasallian Mission a reality. What would someone see in a video about us? Near the beginning of this school year, during my period E class, the mention of Boston University elicited a flood of memories from my very early childhood, when my father would take me to classes with him at BU. I shared a couple of those with the class. Since then other childhood memories have flooded my senior-citizen brain. Like walking up to Robert Amitrano’s house to watch Saturday morning cartoons, because we never had a TV in our house. And then I recalled watching TV at my grandparents’ house – in particular watching a certain bishop talk about prayer, and faith, and life. His name was Fulton Sheen. 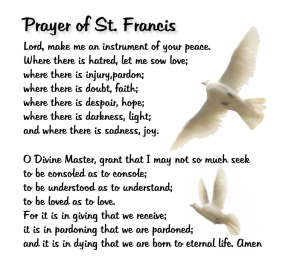 He was Bishop of Rochester, NY, and a master communicator. 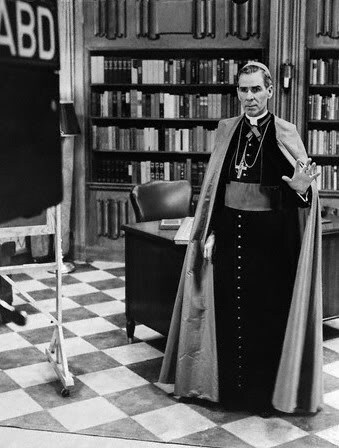 Each week, for an hour, I think, he would keep our attention with the aid only of a blackboard, which would be wiped clean – off camera – by certain “angels.” No videos or power-points, or even colors other than black-and-white. It was a very different age. Later in my life Bishop Sheen would play a different role when he baptized and confirmed my wife soon after we were married. One message from the Bishop sticks in my mind to this very day. I will try to paraphrase. His opening sentence will be hard for us here at La Salle to comprehend. He said, “Imagine that you hated mathematics.” I know that sounds crazy, but bear with me. The good bishop said, “Imagine that you hated mathematics and that all around you were fractions and numerical operations and roots and logarithms. That would be hell for you.” His point, of course, was, and is, that we are entirely capable of creating our own hell by hatred. And isn’t that so true? We can become miserable and evil by feeding our hatreds. And it is so very easy to hate what is different or foreign or threatening. To hate Muslims, illegal immigrants, panhandlers, Iran, liberals, conservatives, gang members, even Roger Goodell. Of course, the flip side of Bishop Sheen’s point is that through love we move away from hell, toward heaven, bringing God’s Kingdom to His material creation. This is exactly the message Pope Francis brings us day after day. Love brings heaven – not just in an afterlife – but right here, right now. 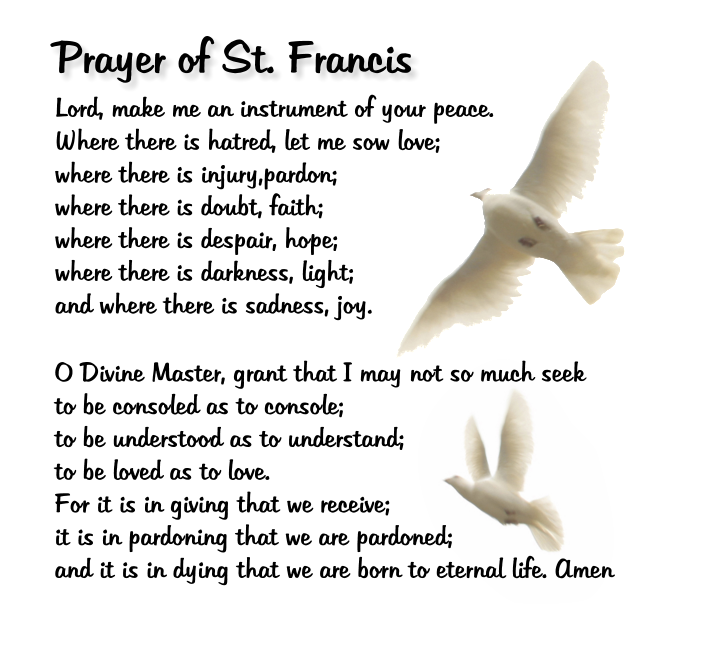 Let us work hard to turn our hatreds to love, to look with fresh eyes and new hearts at what is difficult and uncomfortable, to talk with our enemies, to follow that invitation of Jesus to the rich young man. O God, source of all that is good, you know well our sins and our weaknesses, and you love for us still abounds beyond all telling. Your son told us to love our enemies, to do good to those who harm us. That is so hard, Lord. But we will work on our hatreds, on our judgments, toward a love for all, even those logarithms. Let us pause and remember we are in the presence of God. You see, this young man is a pretty good person. He was upholding the letter of the law as outlined by Moses, which governed most every aspect of a Jewish man’s life at the time. And, we can imagine, he is probably relieved to hear from this holy man, Jesus, that he has what it takes to inherit eternal life. Follow the commandments? Check, check, and check. Maybe he celebrated by doing the nae nae. But the curtain doesn’t draw shut and the scene doesn’t end there. Projected on the board in front of you is a painting by the German artist, Heinrich Hofmann. Known for his paintings of the life of Jesus, he produced this masterpiece, entitled “Christ and the Rich Young Ruler,” in 1889. 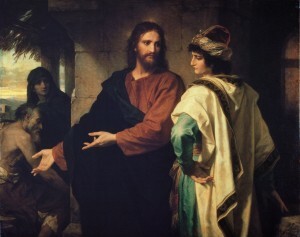 The thing I love about this painting, after I get over the insane fanciness of the rich young ruler, is how it captures the true spirit of this Gospel story. When we hear those words of Jesus, “Go, sell what you have,” we automatically start thinking of our stuff. And then we think about selling our stuff. And having no stuff anymore. And being sad. That doesn’t sound like Good News, right? Jesus? But look at the painting. In the painting the focus, Jesus’ focus, isn’t on the stuff. He’s not pointing at the man’s fine clothes. He’s pointing at an old sick man who seems to need a lot of help. That old sick man is made in God’s image and likeness. And he’s hurting. So when Jesus says what Jesus says, he isn’t speaking theoretically. He’s saying, “Sell your stuff, and let’s use the money to help HIM!” That guy right there! We can’t just ignore him. He needs something and we have it. Jesus’ eyes seem to be saying, “Come on. You can help him.” Notice that the young ruler can’t even look at the old sick man. It seems like he is staring off into the corner, maybe imagining all his stuff. So he walks away sad. He’s walking away from Jesus and back to all his stuff, but he is sad. Another painting exists which is very similar to this one. In it, you see an old man who looks eerily similar to the one in this painting – long beard, hunched over, obviously in need of assistance of some sort. He is standing at the foot of stairs which lead up to church doors. All around him are ragged people huddled up. At the top of the stairs, looking down with pity at the old man, is another man, dressed in a black robe, with a long white collar. He had much in common with the rich young ruler. He was born into privilege. He lived a good life and was doing work that people admired and respected. And then he met the poor. This painting shows a scene from 1683-1684 when France suffered from a terrible famine. 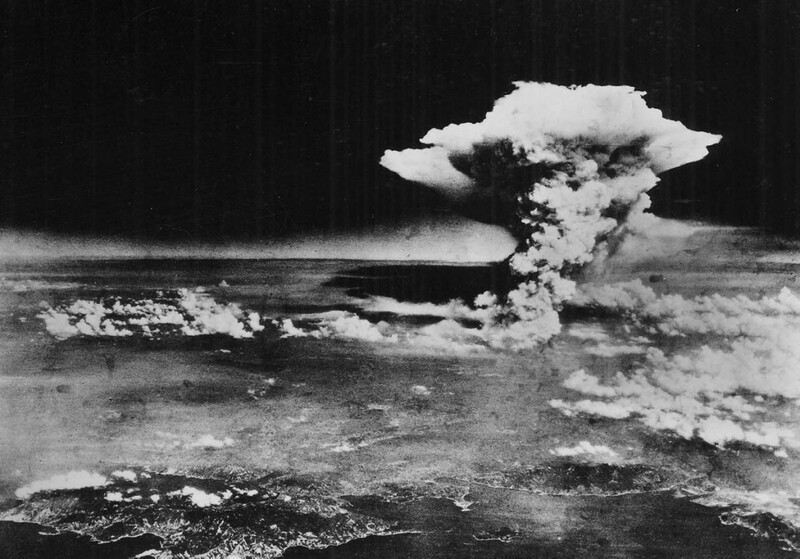 People were literally starving to death. 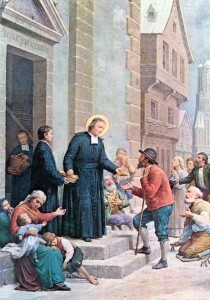 During that famine, John Baptist de La Salle himself distributed his inheritance, amounting to about $500,000 in today’s money, to the poor through the daily handing out of bread to everyone who needed it. He knew the letter of God’s law, but he also understood its spirit: That we are called to love – a love that can’t turn away from people in need. A love that sometimes requires sacrifice. 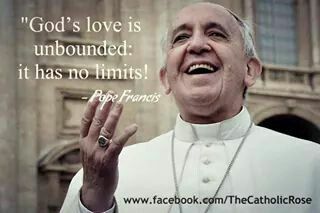 When people love in that way, my friends, it is certainly good news. Heavenly Father, turn our hearts of stone into hearts of flesh so that, like John Baptist de La Salle, we can hear the cry of the poor, the oppressed, the refugee, the sick, and the lonely, and do all within our power to ease their pain. It is funny how certain foods and textures evoke memories and emotions. 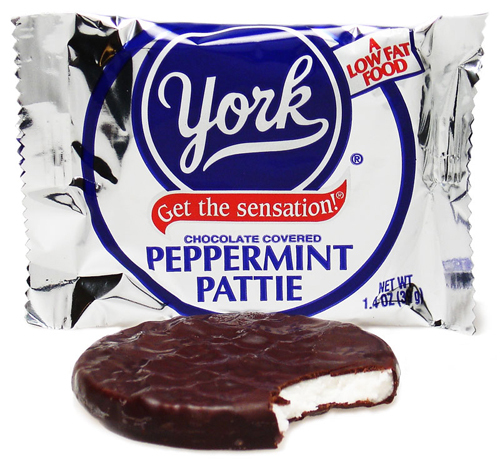 My grandmother used to keep Peppermint Patties in her freezer. While many argue that these circles of dark chocolate coated mint are not high on their list of favorites, I submit that frozen, they are one of the best tasting sweets of all time. This opinion, however is based heavily on my memories of and my love for my grandmother, who passed away in the April of my Senior year at La Salle. I used to go over her house every day. Frequently some or all of my brothers would tag along and we would cross the street and trudge up the block to her small but inviting apartment. She would tell us stories from the past or teach us card games. Each visit, the moment would inevitably come when one of us would make our way to the freezer. 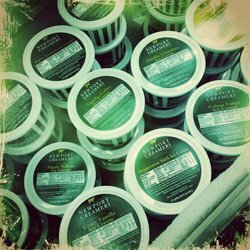 Pulling open the door, we would reach through the escaping frost and pull forth the old Newport Creamery Container, brimming not with ice cream, but with Peppermint Patties frozen to perfection. But woe to the grandchild who neglected to ask before taking a piece. Sure, I knew that I could have as much candy as I wanted at my grandmother’s house. So what was the big deal? Why did I have to ask if I already knew the answer was “yes?” Asking. A seemingly simple task, yet with such broad implications in life. It all has to do with entitlement. Increasingly, it seems people walk around with a sense of “being owed” something. But if we go through life taking, and taking, and taking, from others without asking we become self-centered me-monsters craving that which we feel we deserve simply because we exist. Unfortunately, we have come to confuse our American ideal of freedom with entitlement. But unlike what our culture tells us, freedom is not the right to do whatever we please as long as we don’t harm others, freedom is a responsibility. I know, sounds crazy, right? But it is true. 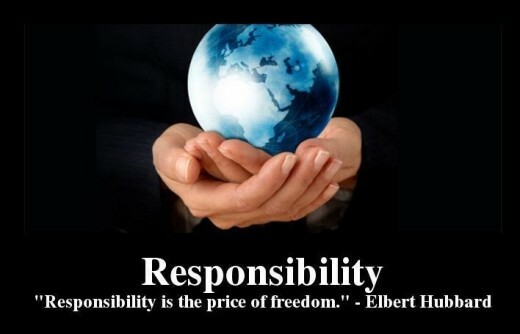 Freedom is a responsibility. For example – you have the freedom to get an education…in order to do something to better your life and in turn the lives of others. in a society where freedom has evolved into entitlement, help us to use only what we need, and to not take for granted that which we are blessed to have. Help us to use our freedom wisely. Help us to always ask.